This entry was posted in MPO Update on 01/14/2019 by MPOwebmaster. A metropolitan planning organization (MPO) is a federally mandated and funded policy-making organization that oversees transportation planning for an urbanized area. 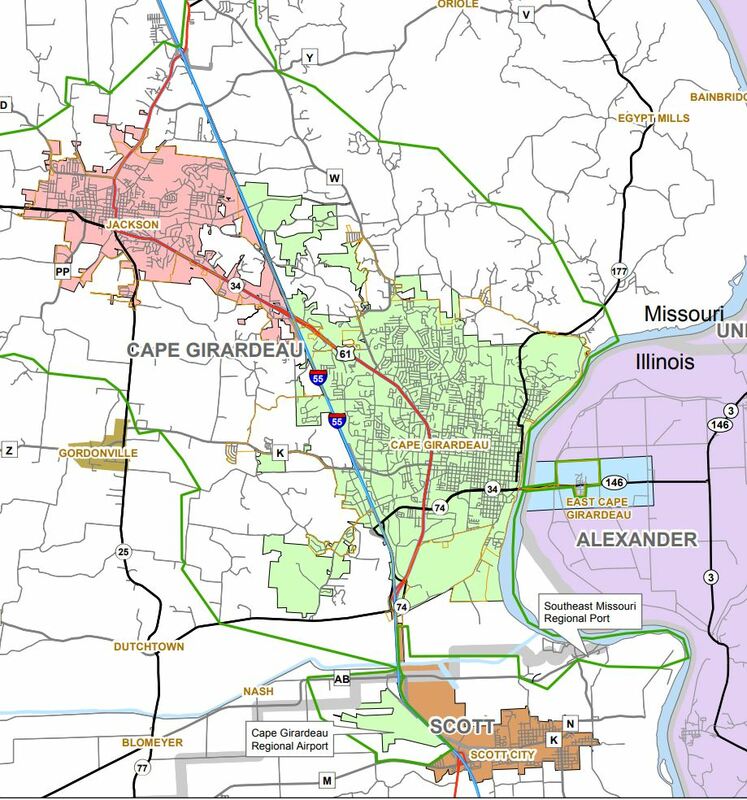 As the MPO for the Cape Girardeau – Jackson urbanized area, the Southeast Metropolitan Planning Organization (SEMPO) is responsible for meeting the federal metropolitan planning regulations for the specified geographic area that includes the City of Cape Girardeau, the City of Jackson, and portions of Cape Girardeau County and Scott County, Missouri, as well as portions of the Village of East Cape Girardeau and Alexander County, Illinois.